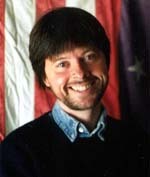 Allow me to weigh in on Ken Burns from a slightly different angle. This is a delicate task, since railing against the iconic Mr. Burns is a bit like getting mad at the librarian. I assure you that’s not the purpose here. Nor do I – like BeyondChron publisher Randy Shaw, for example – have a particular beef with Burns’ consensual thesis on World War II, which is more or less my own. I don’t doubt that Burns is a skilled documentary maker. And considering the army of technicians, publicists, and grant writers in his employ, he must be an awesome administrator, too. I can well imagine that his latest study in overkill has moving moments or is even compelling as a whole for culture consumers of a certain disposition. I can’t, however, review The War itself. The reason is that I choose not to devote such a mammoth sum of my diminishing minutes on this earth to sitting passively in front of a screen and getting taught a lot of what I already know or can learn at my own pace. At this stage of his career, Burns has become more than a filmmaker. He is our Regurgitator in Chief. Yet another for instance: Jazz. I have a 16-year-old, a passionate trumpeter who has given his philistine father in-depth introductions first to Louis Armstrong, then to Miles Davis, and then to a bunch of other artists, both well known and obscure. (I returned the favor by playing Nick Drake, before car commercials and Sandra Bullock movie soundtracks discovered him.) I mean, Branford Marsalis is a smart and talented guy, but do I need him lecturing me by the multi-disc DVD set on how to think and feel about every blasted subgenre of the American musical idiom? There’s a second aspect of my dissatisfaction with Jazz, as both concept and project. A number of older musicians and their advocates accused Burns of screwing them out of royalties. Burns blew them off. Now we’re really hitting home. The Burns argument that copyright cramps creativity is a familiar refrain among some in the documentary community and many others mesmerized by the witch doctors of the digital revolution. I’m not totally unsympathetic to the argument. The problem with these people is that unwittingly – or I think, in Burns’s case, calculatedly – they enable a largely unnoticed perversion of the promise of new communications technology. The perversion goes like this: “Information wants to be free!” Next, that notorious special interest group known as information users – sometimes also called the public – cheer wildly. And thus, by new customs and practices overturning 200 years of old customs and practices, information is indeed free. Free, that is, for giant corporations to exploit even more ruthlessly and surreptitiously than ever. Why don’t people understand that independent writers, photographers, graphic artists, and videographers are not the problem – that the companies knocking them off in the name of “access” are? Don’t they get the notion that for a fraction of the cost of litigation, which mostly lines the pockets of lawyers, the means exist to set up the equivalent of the music industry’s ASCAP, so that a dignified formula of revenue can be siphoned to the people who make Ken Burns possible – all without mussing a hair on his chinny-chin-chin? Admittedly, this is a complex idea, and where people like me have screechy megaphones, entities like The New York Times have loud and sonorous microphones. The Times recently discontinued its pay-per-view article archive, TimesSelect, whose millions of pieces include ones I once wrote for the Sunday magazine and other departments. In its business section, a reporter accurately noted that the company crunched numbers and figured out that the annual $10 million in article download fees garnered by TimesSelect would be more than offset by the new “free” system, which is based on generating revenue from online advertising. Of course, the letter to subscribers announcing the change had a little different slant. “This decision enhances the free flow of Times reporting and analysis,” the Gray Lady crowed. I have a term for this regime: “intellectual property for me but not for thee.” And I call Burns a sellout for embracing it. Let me put it another way. There are “a million stories in the Naked City”; 300 million in the country. But thanks to the Burnsization of American communications, most people get exposed to very few of them. And that’s my beef, unscreened, with The War: A Ken Burns Film.